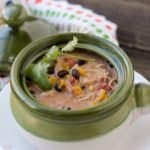 Chicken Fiesta Soup is easy to make and full of delicious flavors! It’s a family favorite that can be made in the slow cooker or the pressure cooker. We just had our annual Fall Festival complete with chili lunch at our church on Sunday. The last several years it has been a chili cook-off so I had to adhere to strict parameters to participate. This year, because we had so much going on, it was just a chili and pie lunch- no contest to win. So I stretched the meaning of “chili” a little bit and made my favorite Chicken Fiesta Soup instead. It’s always a hit when I make it and my husband already begged me to make more so we don’t have to share it. 🙂 I figured since this was WAY back on Day 24 of my first 365 days, it would be good to share this again. Ding Ding Ding!!! Ladies and Gentlemen, we have a winner! I pinned this last week, and couldn’t wait to try it because it sounded so good. 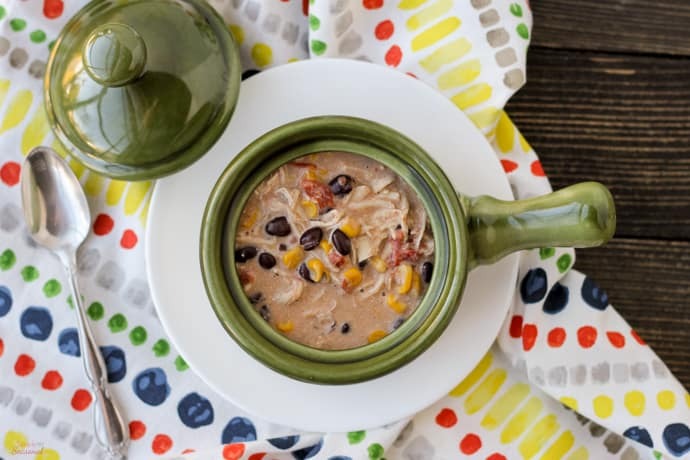 I call this Chicken Fiesta Soup because every time I eat it, there’s a party in my mouth! Seriously, it was a perfect Sunday meal- I love my crock pot! The pin doesn’t contain a link. It was just posted as a photo with the ingredients listed beneath it. So I’ll give a little more detail and write out the recipe here. 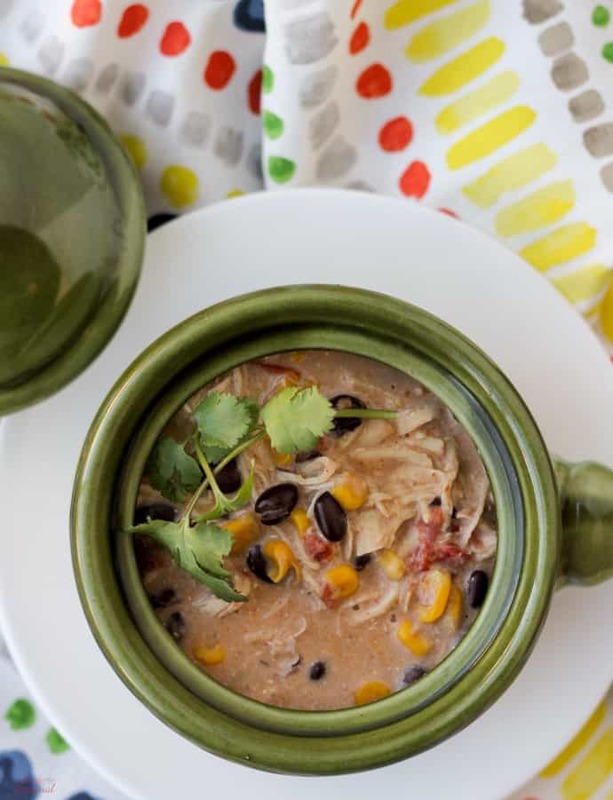 I’ve also updated it to include instructions for making this much more quickly in the Crockpot Express or Instant Pot! Put all the ingredients in the crock pot and cook on Low for 5-6 hours or High for 3-4. Shred chicken and stir before serving. Yup, that's it. Serve with warm tortillas and that's a little bit of Heaven on Earth! Put all the ingredients in the cooking pot and set for 15 minutes on high. (Use the Beans/Chili button and adjust the time on the Crockpot Express.) If chicken breasts are frozen, increase time to 25 minutes. Do a natural pressure release for 10-15 minutes, until the lid releases. Can you believe it? So easy! And it was AMAZING. I dumped everything in the crock pot before I left for church, and when we got home, the house smelled so good! Then I just used two forks to shred the chicken and break up the cream cheese (it was still in a few big pieces, but super soft). I would hardly call this soup. It was so hearty, I used a slotted spoon and put it in a tortilla for the boys because I knew they’d never eat it unless it was disguised. We tried it with tortilla chips. THIS WOULD MAKE A GREAT WARM DIP FOR PARTIES! 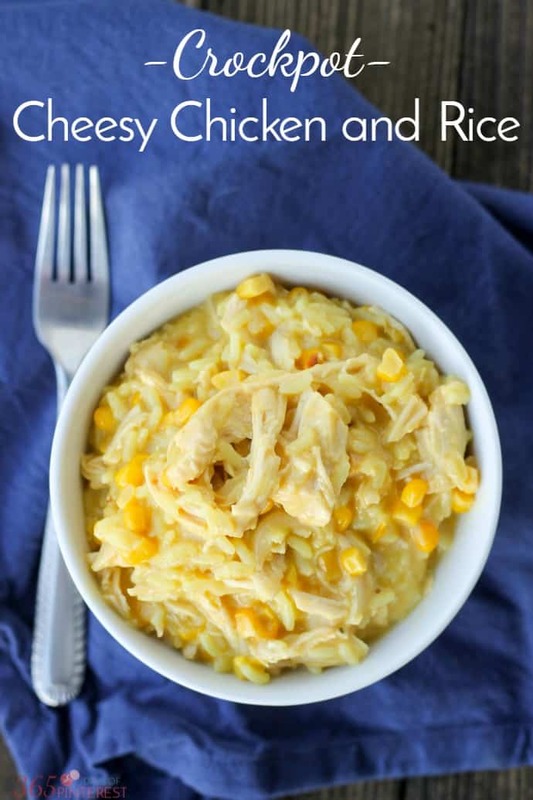 Here’s another Crockpot chicken recipe that we love! If I doubled the recipe, do you see the need to cook it longer? No, the cook time should be the same, but it will take longer to come to pressure (if you’re doing it as a pressure cooker recipe and not a slow cook recipe.) If your chicken breasts are really thick, I would cut them in half (horizontally-to thin the breasts) to help cook everything evenly. 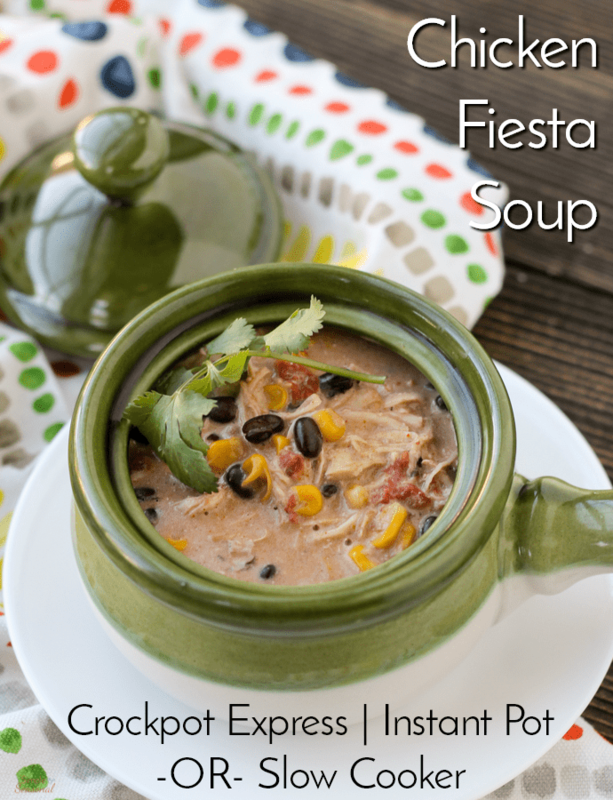 How many does the Fiesta chicken soup serve? This was delicious!! And everyone loved it! It’s similar to something I sometimes made in my slow cook crock pot. I am really enjoying my CPE-XL!! I believe this is because of a lot of reading I’ve done here at Simple & Seasonal! So easy! I did it in my CPE but would also be great in the crockpot too. Delicious. I served over rice. A perfect quick dinner! Thanks for the 5 star rating! It’s a family favorite for sure! It was originally a slow cook recipe and that’s how I make it most often, but it translated great into a pressure cooker recipe! This was sooooo good!! For sure I will make this again and again!! What size cans of Rotel and corn did you use? Thank you! Standard size cans for each. I believe the Rotel comes in 10 ounce cans and the the corn is 14 ounces. The liquid in the Rotel is enough for the CPE?? The Rotel and the can of corn, yes. I’ve made it several times. Chicken also releases juice as it cooks, so by the time you’re done it’s got a lot of liquid. Is there really no more liquid than what is in the cans of beans and corn? The beans don’t have liquid- they should be rinsed off. But the canned corn (the regular kind of can, not the packed kind) and the Rotel (tomatoes and peppers) have liquid, as well as what’s released while the chicken is cooking. Nicole this recipe sounds awesome… Pinning it. It is one of our family favorites now! Thanks for sharing this recipe on FB tonight. Iwill try it soon. Oh, i just started to follow you on pinterest. Did you know you had 365 followers when i looked!!! I thought that was neat! So glad to have you as a follower! 🙂 And you really can’t go wrong with this meal! I use packet taco seasoning to make it even more flavorful and easy to toss together!